Police are working to determine whether the victim of a shooting laid out all night before his body was found Friday morning. 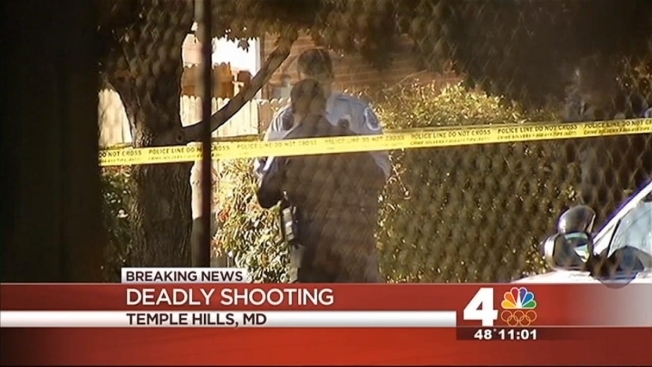 Some residents of a Temple Hills neighborhood thought they heard gunshots Thursday between 7:30 and 8 p.m., News4's Megan McGrath reported, but police have not said whether the gunshots and the victim are connected. One neighbor said she heard a quick series of "popping" sounds that night, and didn't think they were gunshots. The man's body was found around 7:30 a.m. Friday by a resident warming up his car. The resident spotted the body on the ground in the 3100 block of Bellbrook Court, and called 911, said Prince George's County spokeswoman Nicole Hubbard. He has been identified as 27-year-old Adrian Roundtree of the 4600 block of Martin Luther King Jr. Avenue in Southwest D.C. Rescue crews discovered Roundtree had been shot multiple times and pronounced him dead at the scene. "It's still very early on, but there may have been the sound of shots. But we cannot determine right now if the sound of shots have anything to do with the body that was found this morning," Hubbard said. It's not yet known how Roundtree was connected to the neighborhood. Anyone with information that can lead to an arrest is asked to call police at 301-772-4925.